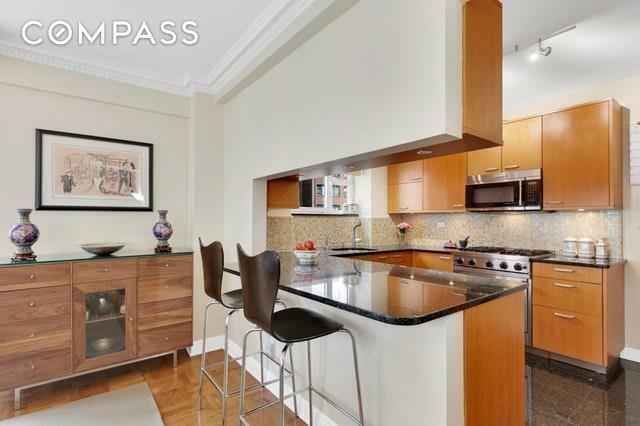 Corner 2 Bedroom in Sutton Place Nestled inside this elegant full-service co-op is this sun-soaked 2 bedroom, 2 bath residence. Enter this home through a generous 15-ft gallery and into the oversized South and West-facing corner living room and dining room. 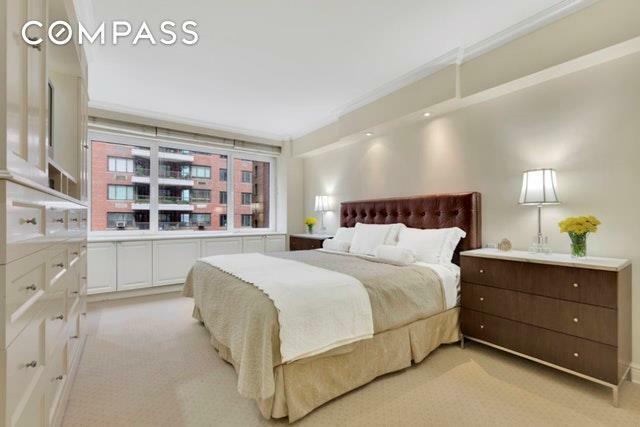 With views out onto Sutton Place South, this expansive room has gracious proportions that are 26-ft wide. 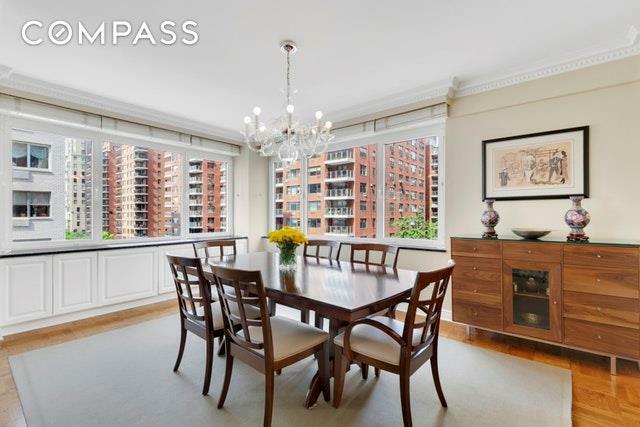 Located adjacent to the dining room is the open windowed kitchen complete with breakfast bar and pantry hallway.The bedrooms are located in the North Wing of the residence with West views onto Sutton Place South and wonderful afternoon light. Both rooms are equally large in size complete with ample closets. The master bedroom features an en-suite bath and the secondary bath is located just outside the second bedroom. Cannon Point North at 25 Sutton Place South was built in 1959 by architect Paul Resnick. It is a full-service cooperative building featuring a 24-hour doorman, concierge, garage, laundry room, children's playroom, gym, and a newly remodeled garden terrace overlooking the River. The building is within close proximity to M57, M15 buses and the Lexington Avenue/53rd Street E & M trains. Local restaurants include: Sutton Inn, Pho Saigon, Neary's, Bistro Vendome, Under the Bridge and Four Cuts Steakhouse. Morton Williams Supermarket and D'Agostino are nearby. The maintenance charges include cable and electric utilities. Garage parking available. Pets are permitted; however, no dogs. There is an assessment in place of $583.83 per month through December 31st, 2020. 2% flip tax of purchase price paid by the buyer. 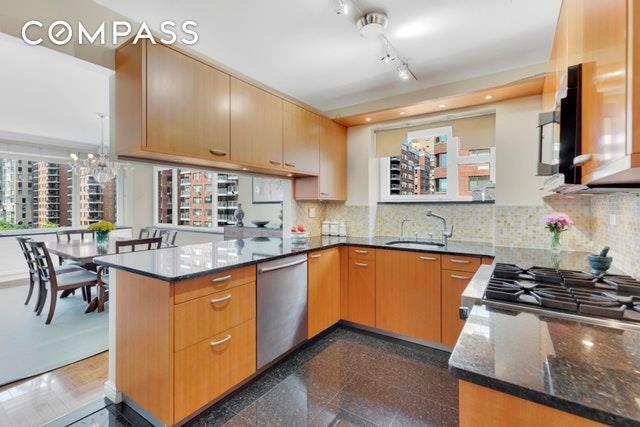 Listing courtesy of Dominic Paolillo of Compass.